The importance of travel and tourism to the global economy cannot be overstated. 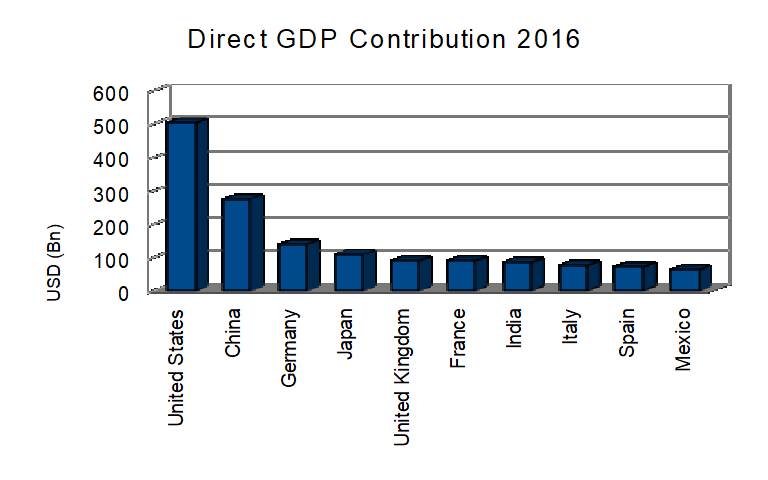 A major driver of global growth, the sector directly contributed 2.6 trillion US dollars to Global GDP in 2016. The contribution looks even more impressive when one considers that indirect contributions amounted to in excess of 7.6 trillion US dollars and the industry can be credited with providing 292 million jobs (World Travel & Tourism Council, 2017). Despite the already leviathan size of the sector, it shows no signs of slowing down. According to the World Travel & Tourism Council, expenditure in the sector is forecasted to grow by approximately 3.9% per annum over the next decade. During the same period, it is forecasted that 23% of all new jobs created will be supported by travel and tourism resulting in a total of 380 million jobs. To put this into perspective that would be approximately one ninth of global employment. Should these forecasts hold true, it means that not only will this sector outperform other sectors but by 2027 it will contribute 11.4% of global GDP. The facts and figures speak for themselves and show the vital economic significance and opportunities that travel and tourism present. Should we take the financial aspects of the sector to the side, there is a multitude of other reasons why the sector is important to modern society. With the world getting smaller due to ease of transport and affordability, the importance of awareness and appreciation of different cultures and societies continues to grow by the day. As the world opens up more and becomes a larger melting pot of multiculturalism, travel can be expected to play a vital role in the appreciation and understanding of each other. Therefore it is a duty of humanity to make access to international travel more efficient and lower the thresholds to ensure wider access to all. In recent years, the industry has made effective use of leveraging new technologies in order to enhance stakeholder experience. To put this into clearer perspective according to our conducted surveys 89% of Americans prefer booking hotels online and 84% preferred booking vacation transport online. Analysis of these trends shows that the path of least resistance is for the continued growth of online bookings due to the comparative ease in contrast with traditional methods. In short, stakeholders in this sector are open to evolving with the times and embracing the new methods of arranging their travel if it results in a better user experience and is more time and cost efficient. This means that any disruptive or game-changing technology is more likely to be embraced rather than resisted by its intended user base.